A tenured Wheaton College professor who, as part of her Christian Advent devotion, donned a traditional headscarf to show solidarity with Muslims has been placed on administrative leave, sparking protests on the west suburban campus Wednesday. 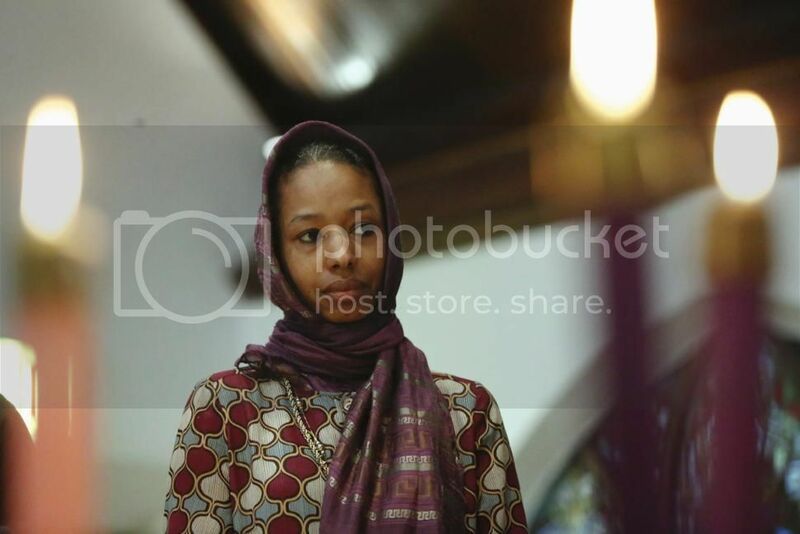 Larycia Hawkins, a political science professor at the private evangelical Christian college, announced last week that she would wear the veil to show support for Muslims who have been under greater scrutiny since mass shootings in Paris and San Bernardino, Calif.
"I stand in religious solidarity with Muslims because they, like me, a Christian, are people of the book," she posted on Facebook. "And as Pope Francis stated last week, we worship the same God." People protest at Wheaton College on Dec. 16, 2015, after professor Larycia Hawkins was placed on administrative leave. Hawkins had donned a traditional headscarf to show solidarity with Muslims as part of her Christian Advent devotion. But on Wednesday, students in the grip of finals, filtered into the lobby of the college's administration building to deliver a letter to President Philip Ryken demanding Hawkins' reinstatement.